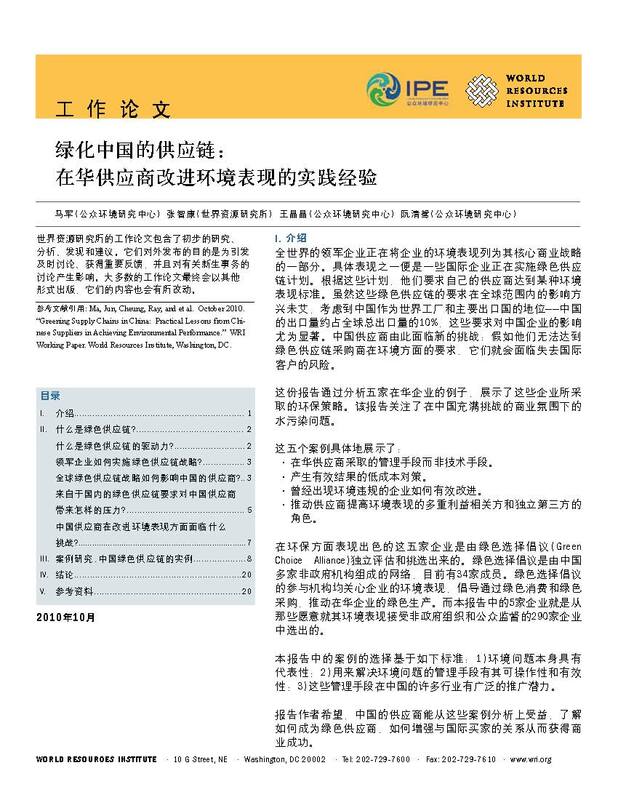 On October 8th, 2012, five environmental NGOs Friends of Nature, IPE, Green Beagle, Envirofriends, and Nanjing Green Stone jointly published the Phase Two textiles report titled Sustainable Apparel's Critical Blind Spot. It highlights that a number of large-scale clothing brands have gaps in the environmental management of their Chinese supply chains and calls for consumers at home and abroad to push brands to assume environmental responsibility. China's production of cheap and fashionable apparel products has also clothed the world. 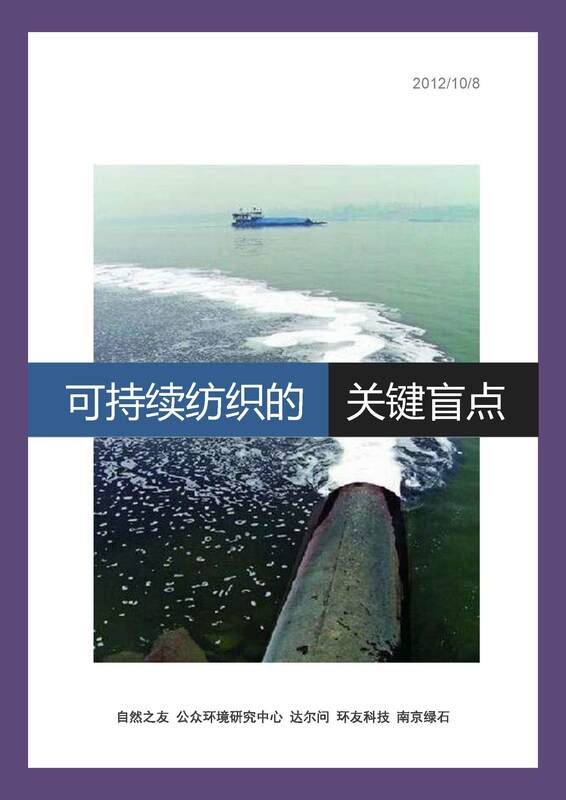 However, pollution from the textile industry has negatively affected the air, rivers, lakes, oceans, soil, and even the groundwater in China. 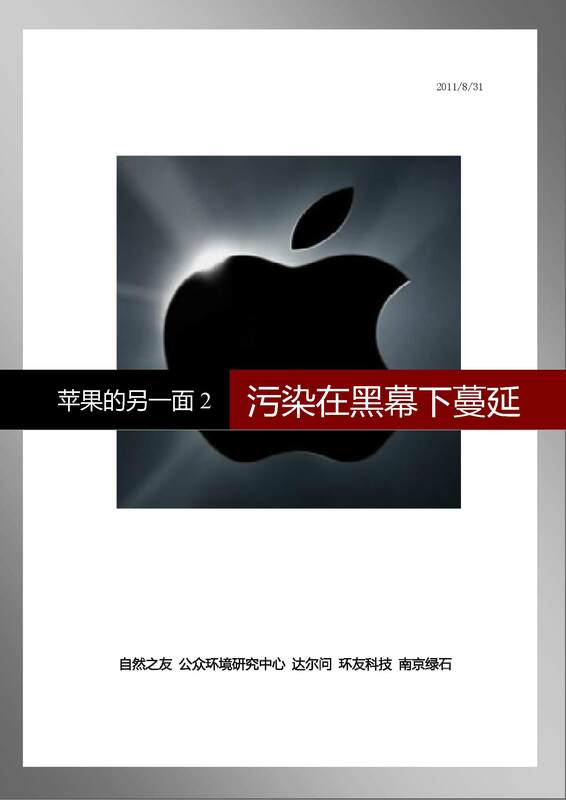 Following the January 2011, release of the "Other Side of Apple" report, the Chinese environmental organizations continued the dig deeper into issues of poisoning and pollution in Apple's China supply chain. Since 2007, Apple has used a combination of style, design and innovative technology to create a sales frenzy. Behind their stylish image, however, Apple products have a side that many do not know about—pollution and poison. This side is hidden deep within the company's secretive supply chain, out of view from the public. 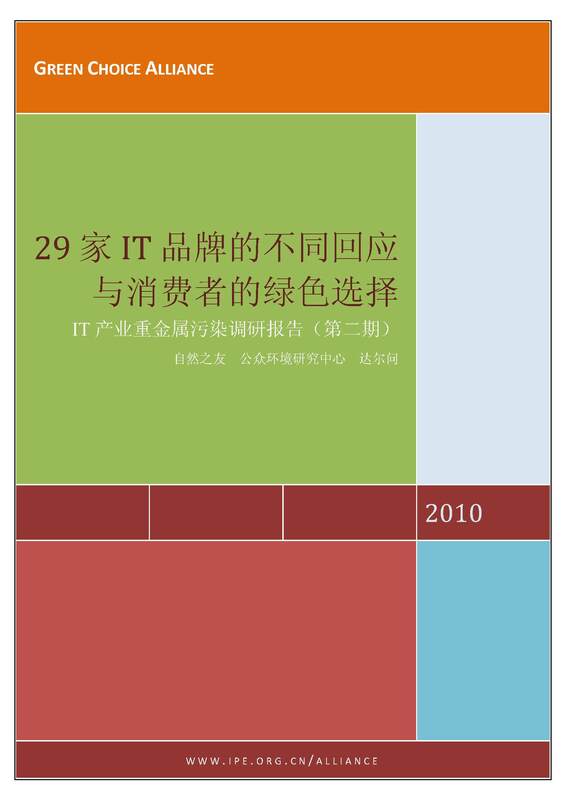 The purpose of this report is to highlight examples of five companies operating in China by illustrating the approaches they have adopted to address environmental problems. 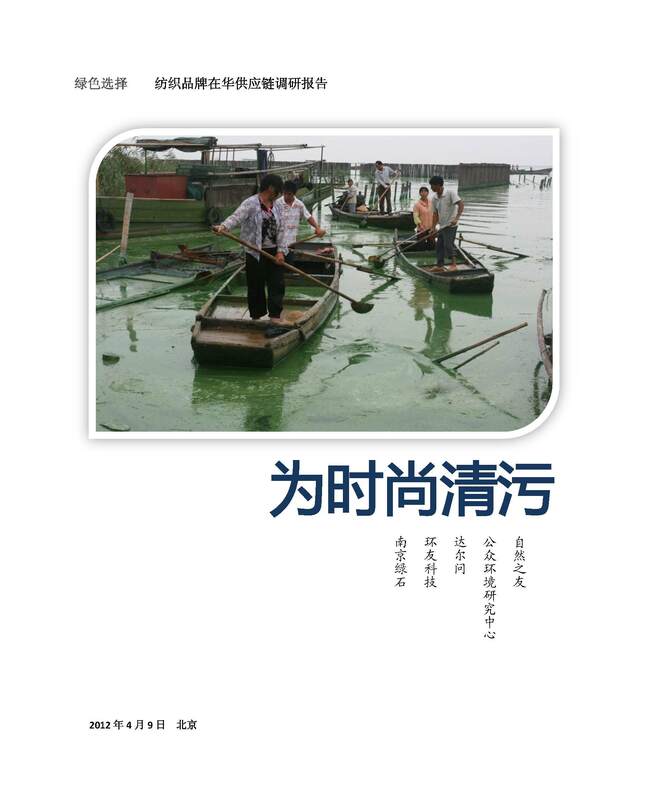 The report focuses on water pollution within China's challenging business landscape. Following 2 earlier reports concerning the IT industry heavy metal pollution, the attention by various stakeholders including consumers finally urged the remaining eight brands to break their silence and respond in some form. With IT brand companies responses growing from 8 to 21, a 2nd round of communications was made based on initial responses. Reactions further diversified with some giving positive replies, while 8 European, American, Japanese, Korean & Chinese companies did not respond at all. 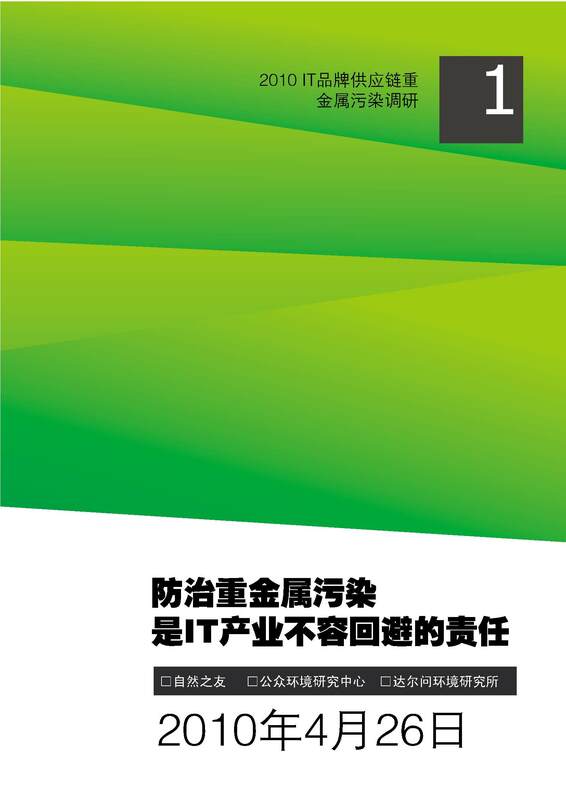 IT manufacturing is a source of heavy metal pollution, FoN, IPE and Green Beagle launched an investigative study in this industry in a hope to promote the enhancement of heavy metal discharge control measures.